We’ve all been there. We wake up in the middle of the night for no apparent reason and can’t fall back asleep, so we stare at the ceiling until the sun peaks through the blinds. Once we finally roll out of bed, we feel groggy, stiff, and grumpy. It’s not exactly the perfect start to a busy day. For some people, this happens more often than not (curse you, insomnia! ), which is why they turn to white noise. This static repetition of sound helps to turn off your racing mind and welcome sleep. However, it might not help you stay asleep, which is why something called “pink noise” is currently en vogue. Sure, it has an on-trend name, but its ability to enhance sleep and bolster the brain’s memory and concentration are what makes it super buzzy. But there are a lot of unanswered questions, like what does it actually sound like? How exactly does it contribute to consistent sleep and healthy brain function? Thankfully, we have the answers. You’ve probably heard of white noise (think the monotonous drone of an air-conditioning unit). White noise is a combination of different sounds that create one consistent sound that, according to Popular Science, “comes out evenly across all hearable frequencies.” It’s called white noise because when various colored lights combine, they shine white. Because white noise is good at cutting through the hustle and bustle, it’s used for the signals in emergency vehicles. Its ability to mask all other noise has historically made it a handy sleep aid. Those household annoying noises—that faulty dripping tap or ticking clock—are drowned out by other noises during the day. But when things quiet down come nighttime, those same noises become pronounced and seriously irritating… That’s where white noise comes to the rescue. So if white noise is the answer to drowning out sleep-stalling sounds, why do we need pink noise? 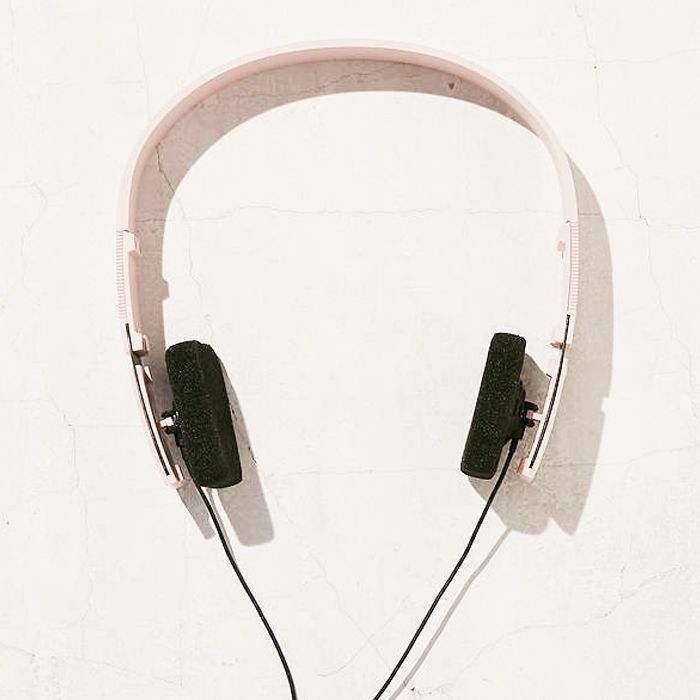 Pink noise, according to PureWow, is “a balanced, steady mix of high and low frequencies.” (It gets its name because light of the same frequency appears pink.) Where white noise is a constant drone, pink noise is far more pleasant to listen to—think heavy rain or rustling leaves. Plus, the benefits come into play once you’ve actually drifted off to sleep. Another study found that playing pink noise while people slept prolonged a portion of sleep known as slow-wave sleep, which has been linked to our brain’s memory function. After a night sleeping in a room with pink noise playing, subjects remembered 22 word pairings versus just 13 after a night with no pink noise. Memory-boosting indeed. And it doesn’t just help with sleep quality and memory. Pink noise was also found to boost concentration when played in offices. So there you have it. Instead of queuing up your air conditioner unit before bed, try listening to gentle rain, flowing water, or something similar. It's just as relaxing (if not more so) and will keep you asleep throughout the night. Once you wake up, the concentration and memory benefits will abound. Try downloading the Sleep and Noise Sounds app, which is completely free. It has both pink and white-noise options that you can choose between. Next, see the simple trick you should do every morning after you wake up for a more restful night's sleep. This article was originally published on Byrdie UK and has since been updated by Kaitlyn McLintock.